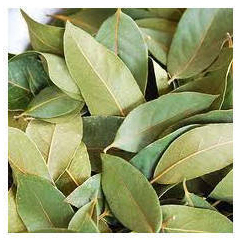 You are at:Home»Herbs»Cinnamomum tamala Fr. Nees. Latin name : Cinnamomum tamala Fr. Nees. Description : The leaves are antiinflammatory, astringent, carminative, constipative, deobstruent, diaphoretic, digestive, diuretic, emmenagogue, expectorant, hypoglycemic, lactagogue, stimulant and tonic. It is useful in indigestion, bloating, cough, flatulence, heartburn, dry mouth, nausea and bad breath. Also useful in palpitation, weakness of heart and insanity. Recommended Dosage : 1 to 3 g powder of dried leaves.